As one of the first mountains one encounters heading eastbound on the I90, you’d think Mt. 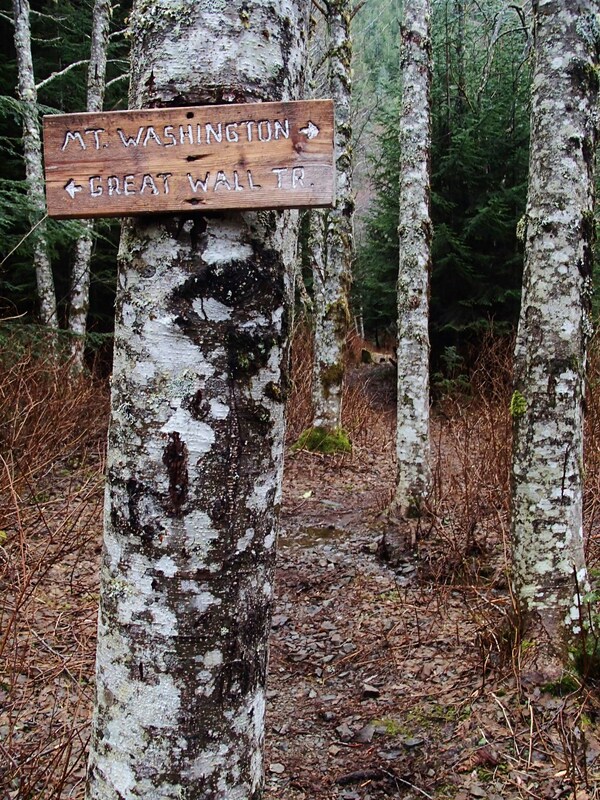 Washington would be one of the more popular hikes in the area. Although it does see it’s share of people everyday I’m sure, it just doesn’t draw the crowds like it’s more famous neighbors Mt.Si and Mailbox Peak. A few possible reasons for this are that it doesn’t really have it’s own trailhead, instead branching off of the Iron Horse trail and when viewed from the ground it doesn’t appear very spectacular. It lacks an impressive summit block like Mc Clellans Butte or “The Haystack” and when viewed from just about any angle it really just looks like a non-descript lump of green. Also at a scant 4420′, it seems like the runt of the I90 litter. I’m guilty of it, I’ve driven by countless times and not really given it a second thought. I’ve passed it up for years, seeking more exciting and open looking mountain slopes along the road when the day-hike bug bites. Well my friends, I was wrong. I said it, wrong. Turns out Mt.Washington is one hell of a hike. Oh, and don’t let it’s unassuming demeanor and modest stature fool you, when the bell rings, this one comes out of the corner swinging! 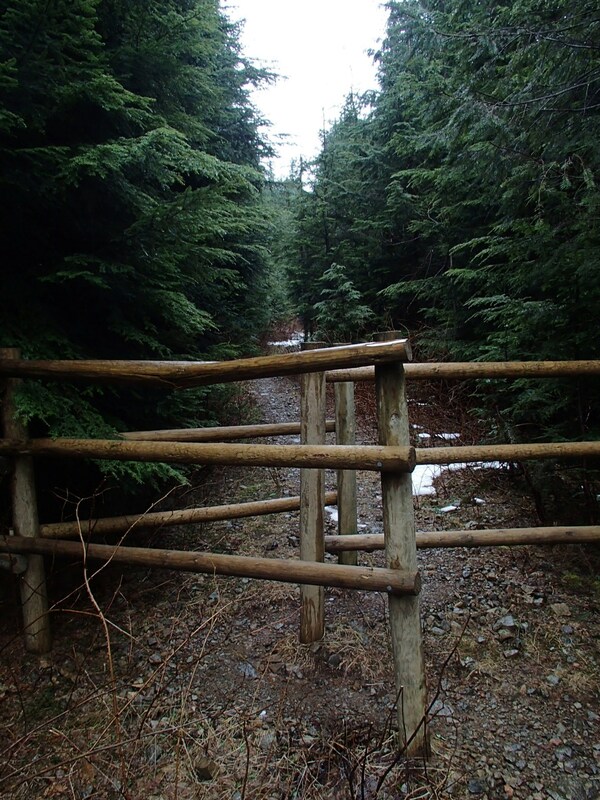 The first part of the trail is an unrelent…. Let’s go back and start from the beginning. 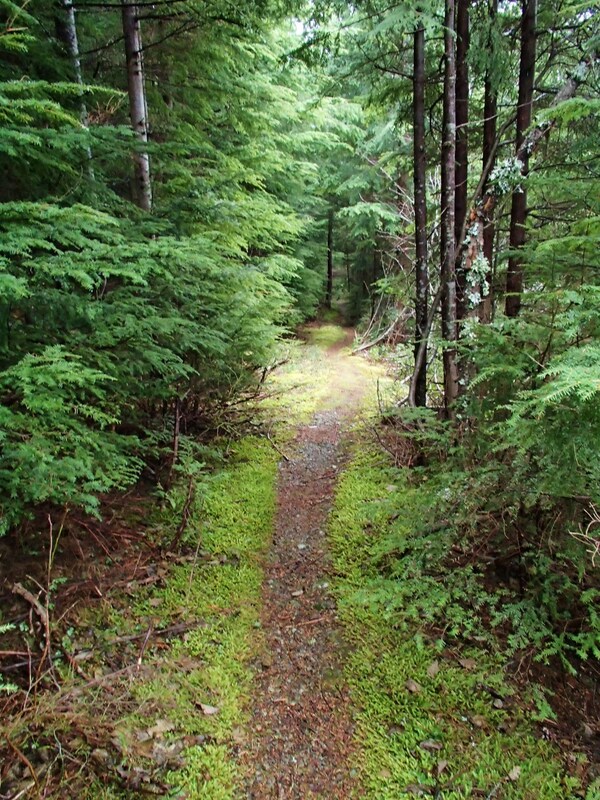 Follow the trail up to the John Wayne trail and bear right, (westward) you’ll be looking for a trail on your left, heading up into the woods. You might be confused when you find it but, yeah, thats it. Hell of a trailhead, huh? 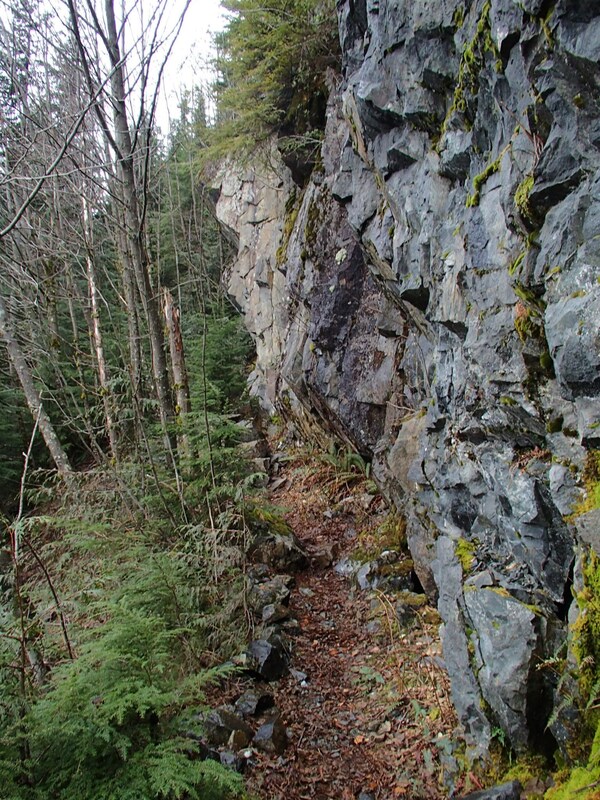 It doesn’t take long before the trail starts beating on you with an unrelenting, steep grade, often capped with loose, jagged rock. This section of trail will devastate the legs of the uninitiated. The one encouragement I can give you is that this, at least in my humble opinion, is by far the most arduous section of the whole hike. Along the way it passes a cut-off to Sallal (sic) Point. I haven’t yet visited the place so, no comment. The thigh attrition finally begins to subside right around the “Owl Spot” lookout. Now, thats not to say the rest of the hike is cake or anything, but from here on out, I feel the worst is over. This is also your first real clear view of the world below. Take a breather, soak it in, you’ve earned it. 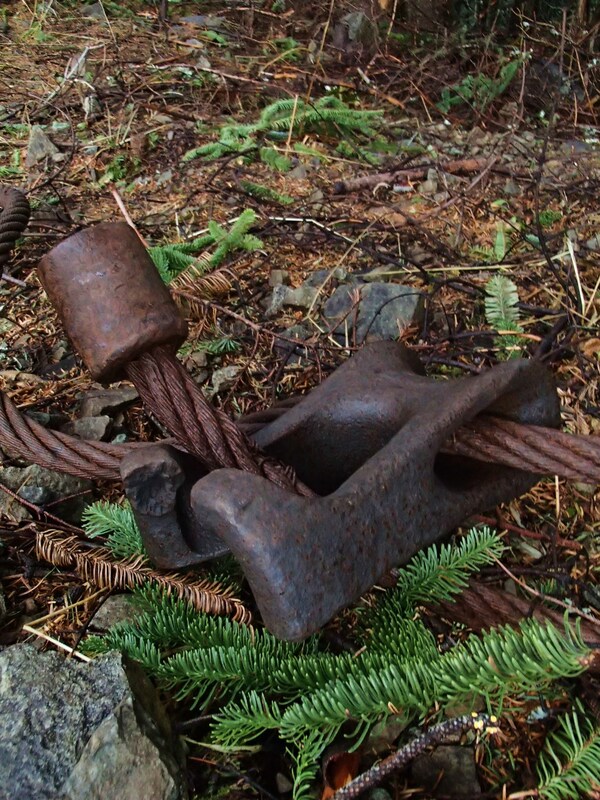 Not long after, you’ll catch your first glimpse of the summit….aaand it’s still a long ways away, keep the faith! You’ll pass the Great Wall Junction which is an alternate route to the summit, or perhaps the tail end of a loop. I’ll talk more about it later. The trail steadily becomes more pleasant, passing through open areas and affording views of the mountainsides. 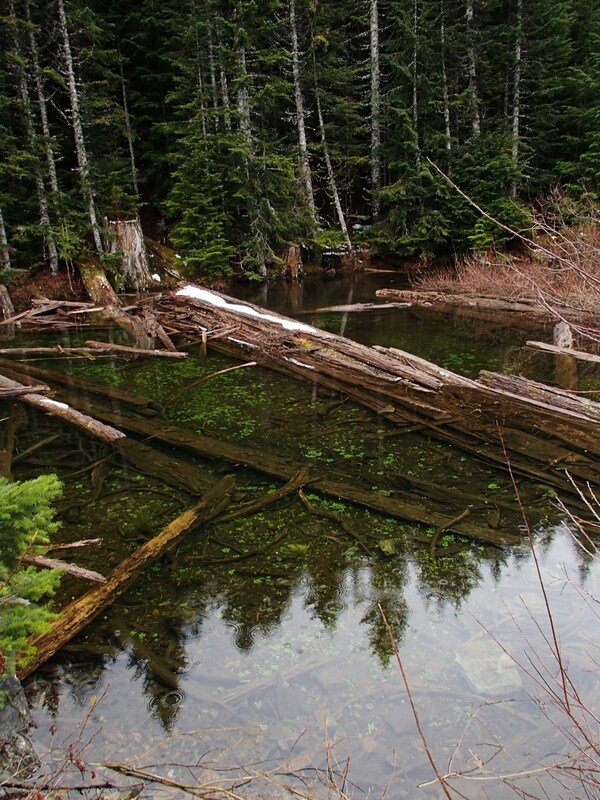 You’ll soon find yourself at a tranquil mountain pond and a fork in the road. It may appear that turning right here is a viable option, crossing the little creek and making a beeline towards the summit. This however, as I found out first hand, is not the case. 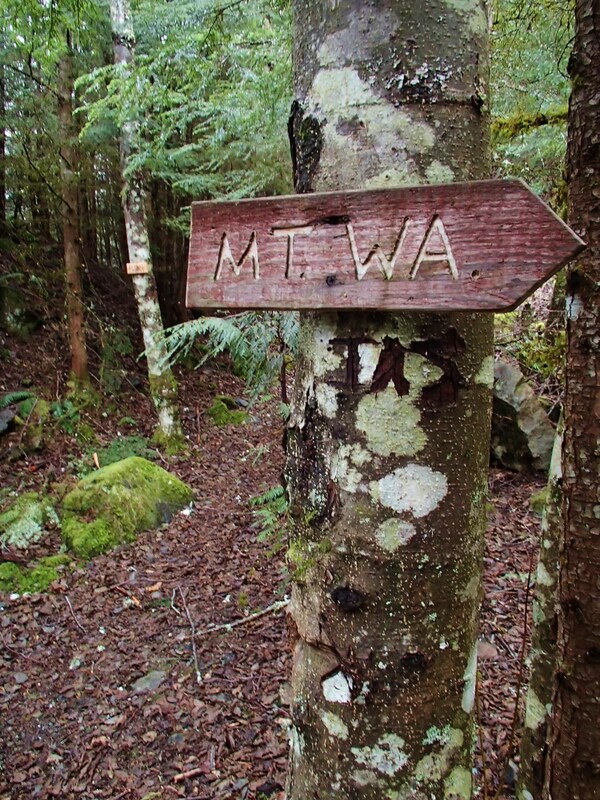 The trail now rounds the inside of the bowl between Mt.Washington and the high spot to the east. (Great Wall Peak?) 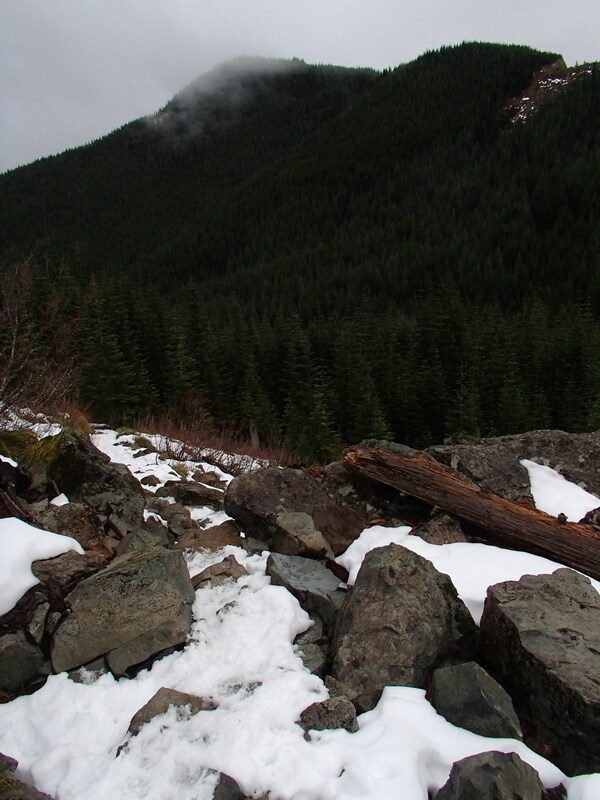 Soon it begins climbing up Mt.Wa’s flanks though forest and talus. Rounding the bend you think you are almost there and then… crap. Up and up, keep pressing on. 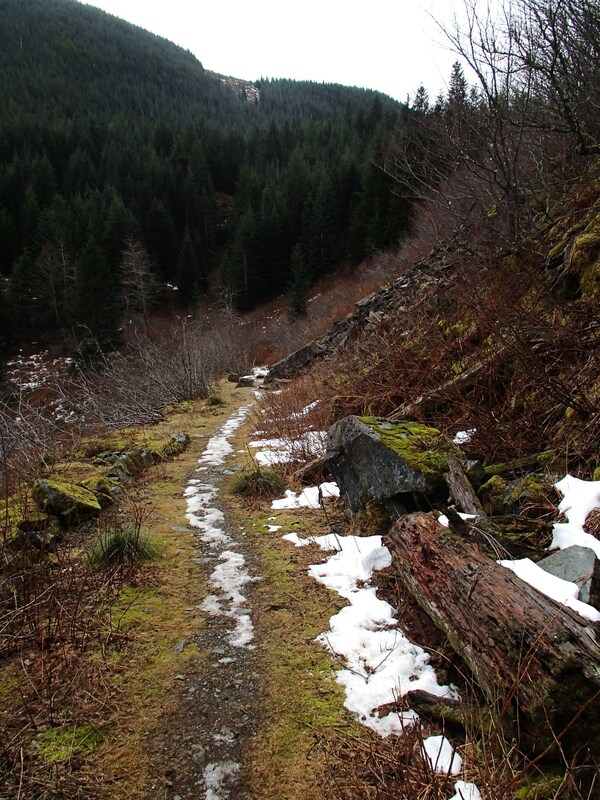 The trail crosses an old logging road before the final push to the summit. 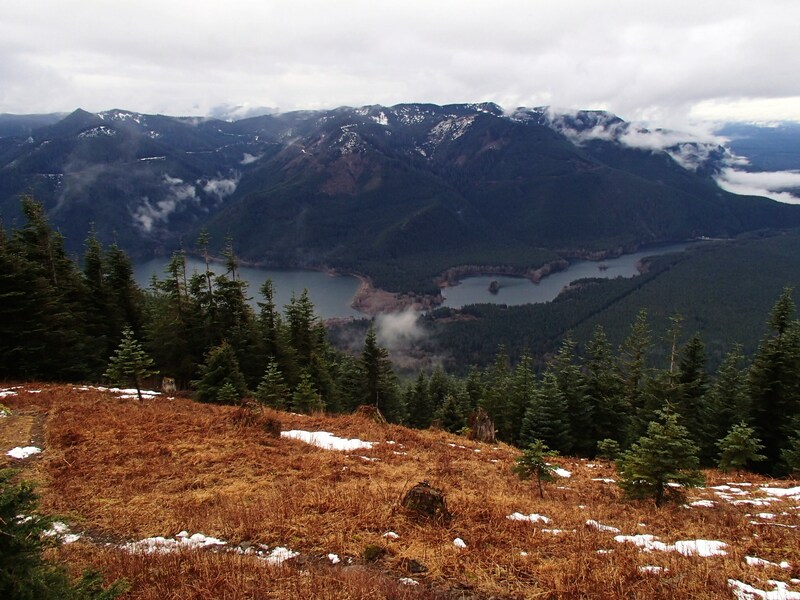 As you wind up the backside of the summit, views open up to the south, Rainier, Rattlesnake Ledge, Chester Morse Lake and points beyond. Not much more than a stroll through the high meadows will bring you some even more commanding views from the summit. 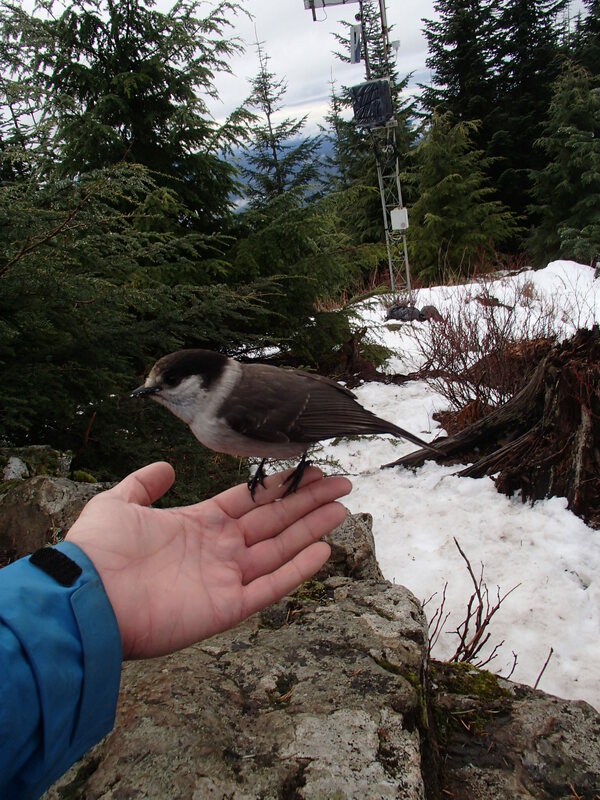 Oh and a weather station, which kinda just lives there, and hungry birds, they live there too. Going down can be as easy as retracing your steps back to the car, or you can turn it into a loop. I love a good loop, so lets go that way. 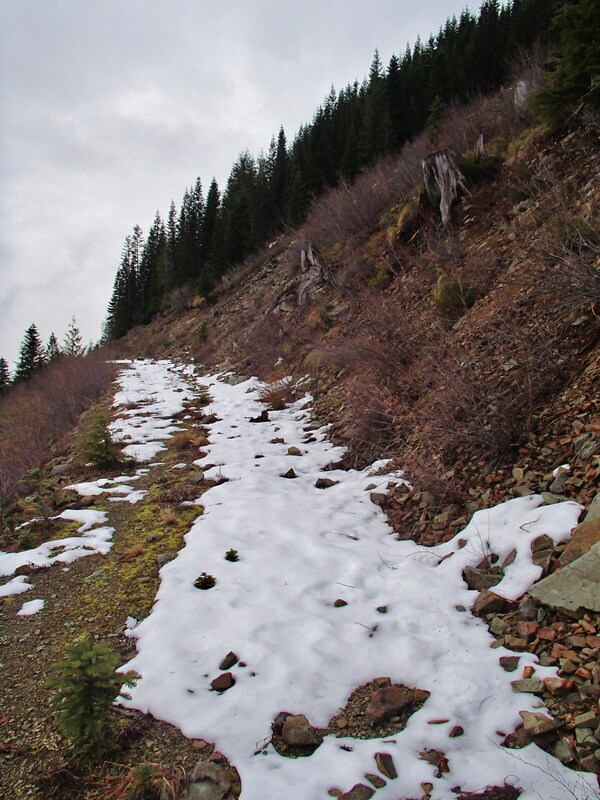 Perhaps when you were heading up the meadows, you noticed a lightly trodden trail heading down the ridge towards the southeast. 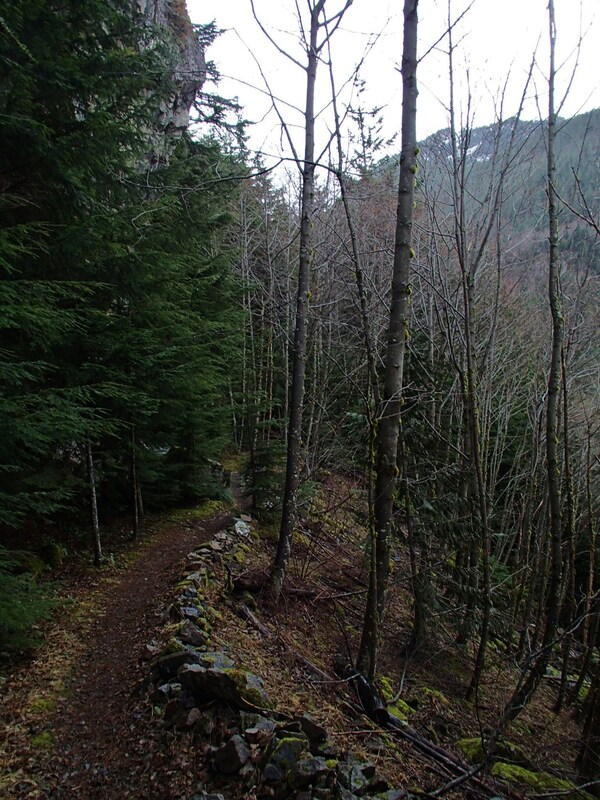 It leads back to the last logging road the trail crossed. Maybe too you noticed the open spaces across the bowl on your way up, or that little cliff above a flat spot over yonder. The logging road you crossed will take you over there. This to my knowledge is the Great Wall Trail. You’ll follow it along the rim of the bowl. To the south side of the road you can’t help but notice the Cedar River Watershed’s no trespassing signs stapled to the trees, occasionally you may see red reflectors tacked to the trees on the north side. Considering what it took you to get up here, this is paradise! Strolling along a flat road grade on the top of the world, you’ll probably dance a jig! Jig your jolly self down the road a ways you’ll come to a “Y”, I don’t know where going forward leads, but taking the hard left and down will lead on along the Great Wall trail. 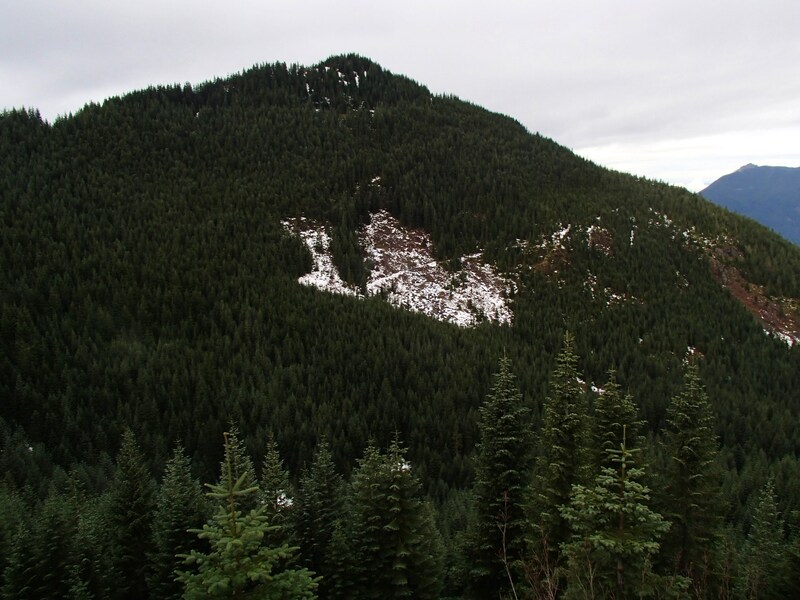 Soon huge views open up of McClellans Butte, Putrid Pete and many other I90 peaks to the east. 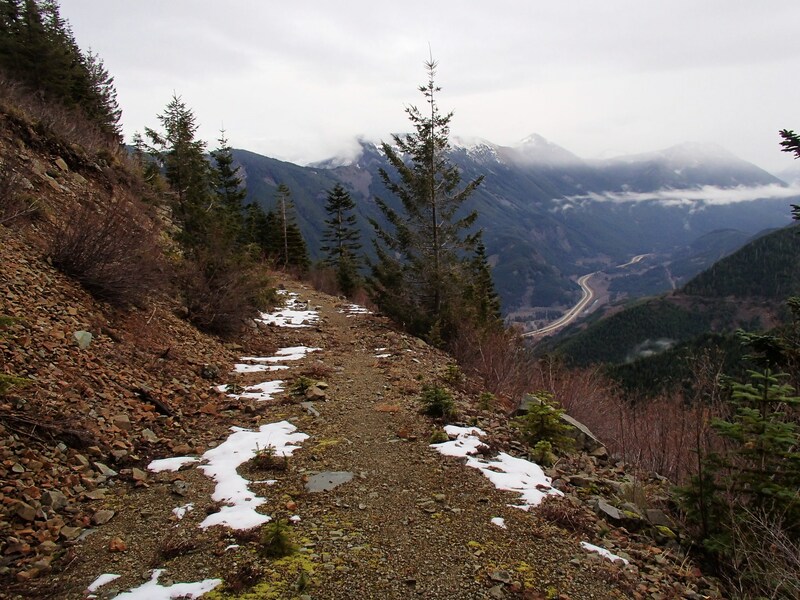 The Change Creek basin appears like an abyss below, as the little logging road carries you along, across perilously steep slopes. 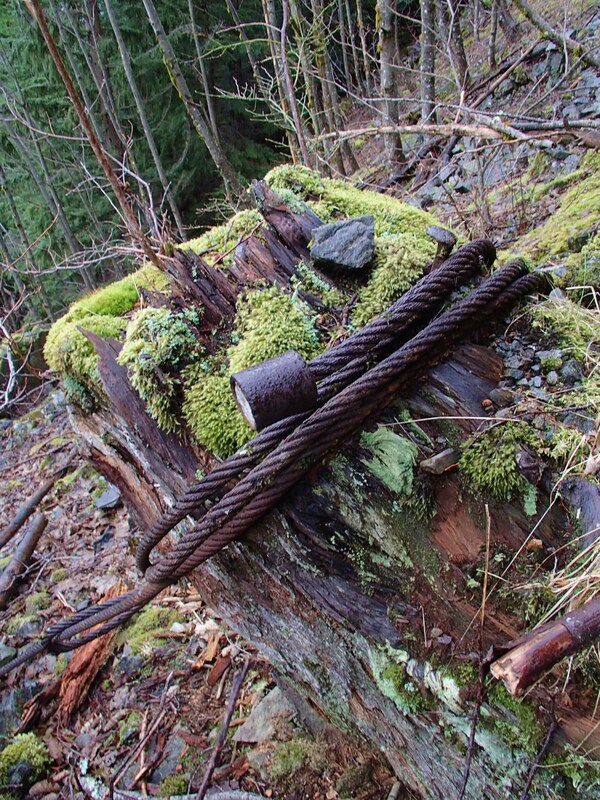 You might be thinking just who in the hell would have ever driven a truck on this! One thing to note here is that this section, due to it’s steep and open slopes could be potentially dangerous in adverse snow conditions. That is to say, looks pretty slide prone to me. Be sure to check: http://www.nwac.us/ for the current avalanche forecast. Despite that, this in my opinion is the best part of this entire hike, ambling along a gentle grade, and being inundated by majestic views. There is a kind of tricky part coming up in store for you though, as you’ll hit another junction. 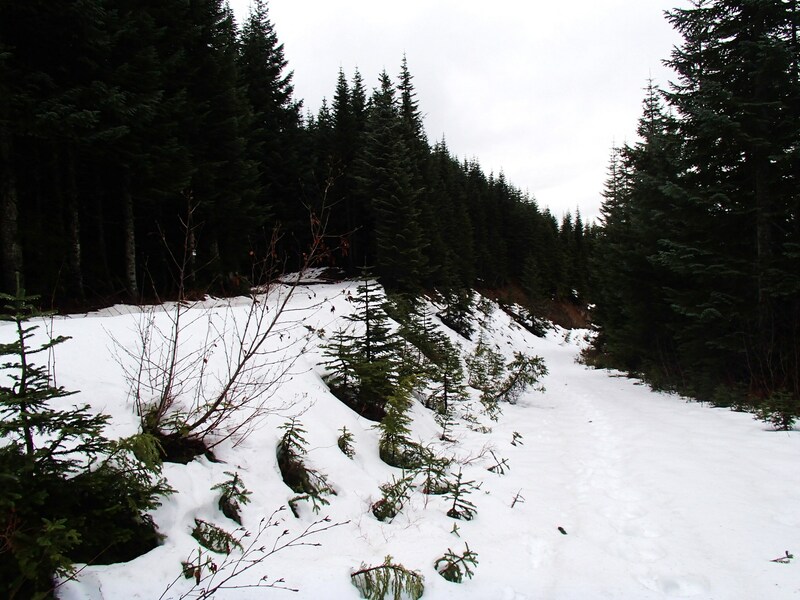 One way switchbacks to the north, the other seems to enter low growing alder saplings. 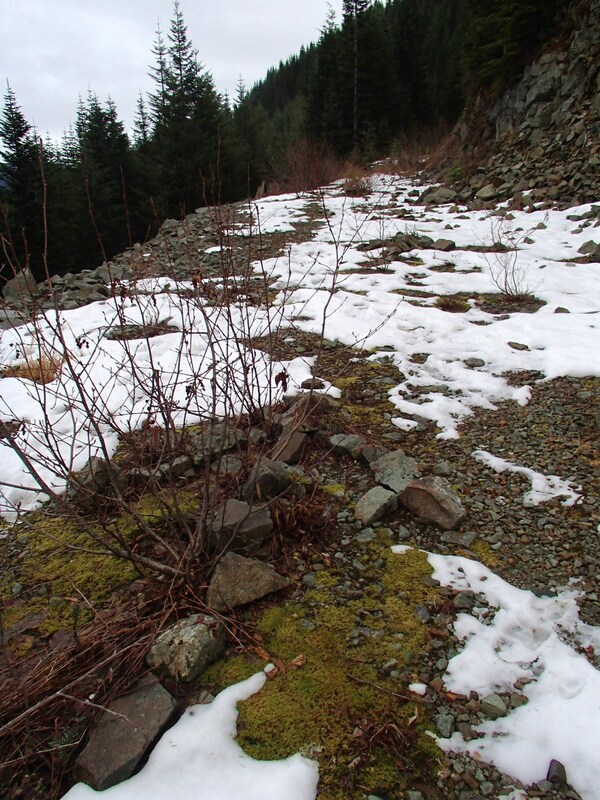 The natural tendency is to continue down the switchback, but upon closer examination one may see a small cairn near the dead end alder. This is the correct way down the Great Wall trail. If you turn around you may see a small sign which indicates that the trail down the switchback leads to Change Creek, which is another viable way back to the John Wayne trail, but not the subject of this review. 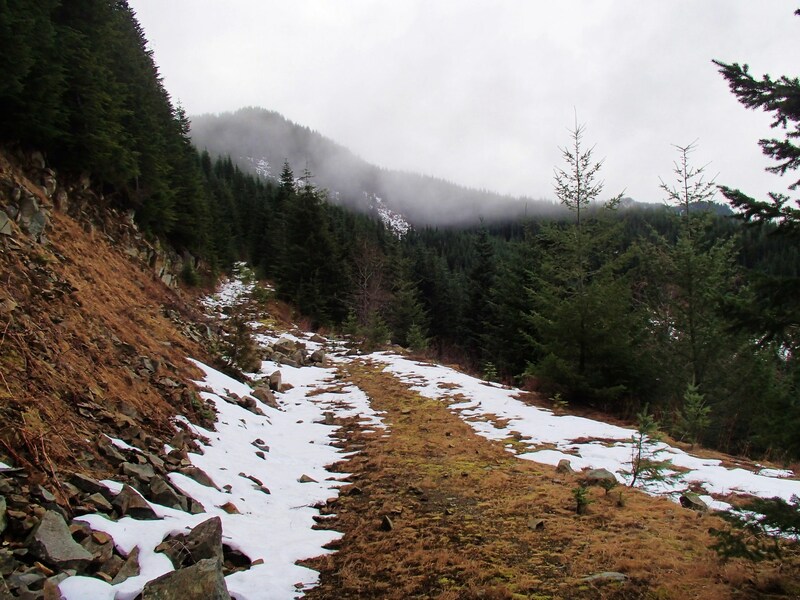 Following the route as marked by the diminutive cairn, the trail again enters old, steep, logging grade through young forest of alder and mixed conifer. 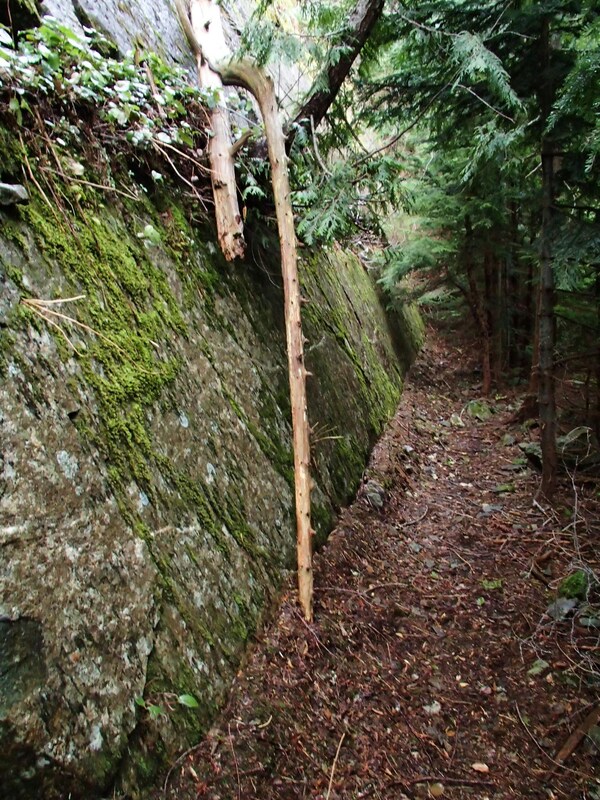 Eventually you will pass by a dramatic cliff which I think is the “Great Wall”. The trail becomes narrow here and there is a drop off, but nothing to worry about. Continue on and before you know it you are back at the Mt.Wa-Great Wall Jct. All thats left to do now is head back to the car. Congratulations, you did it! Hopefully you displayed the right pass and won’t find a ticket waiting under your windshield wiper. I greatly underestimated Mt.Washington for years, but now have discovered just what a gem in the I90 Crown that it really is. 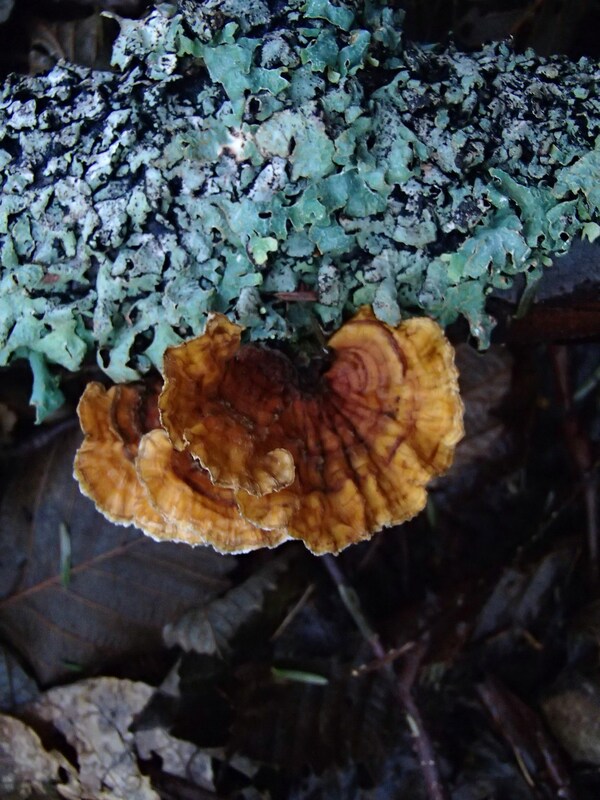 There is much to discover along it’s forested slopes. The trail is often flanked by subtle yet imposing cliffs which really adds a certain atmosphere to this hike, some of which have interesting caves and grottos as well. 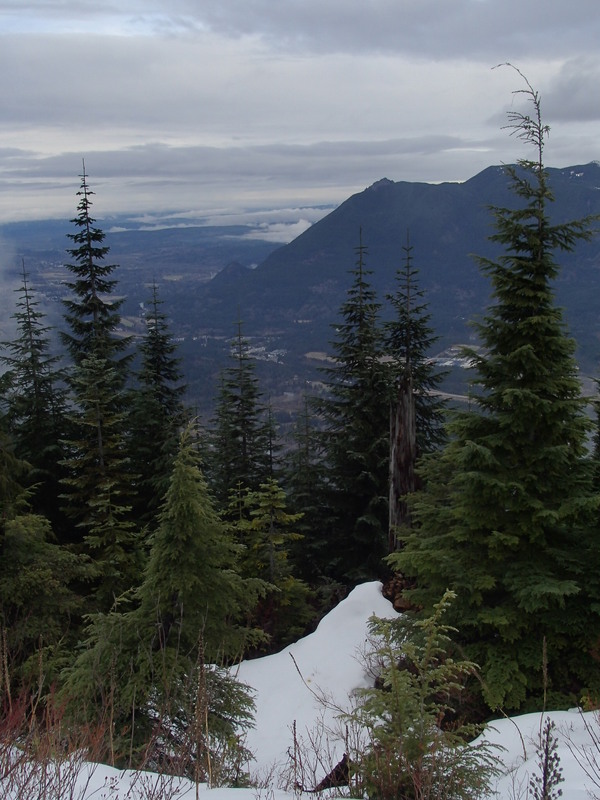 While it is a physically demanding hike with steep, long grades and an 8.5 mile roundtrip while hiking the standard route, it doesn’t offer any technical challenges to get to the summit. Given enough time it should be attainable for most people of reasonable physical constitution. Don’t make the mistake I did for years and just poo-poo Mt.Washington as you drive on by, seeking bigger and better things. After all you might just be driving by your new favorite hike!